Exeter Airport is undergoing a huge refurbishment to expand their capabilities and streamline their operations in order to increase the capacity of the airport. Modernising their Runway and Lighting System was a core aspect of their refurbishment. They chose Campbell Scientific Limited to supply and install an Instrumented Runway Visual Range (IRVR) system. 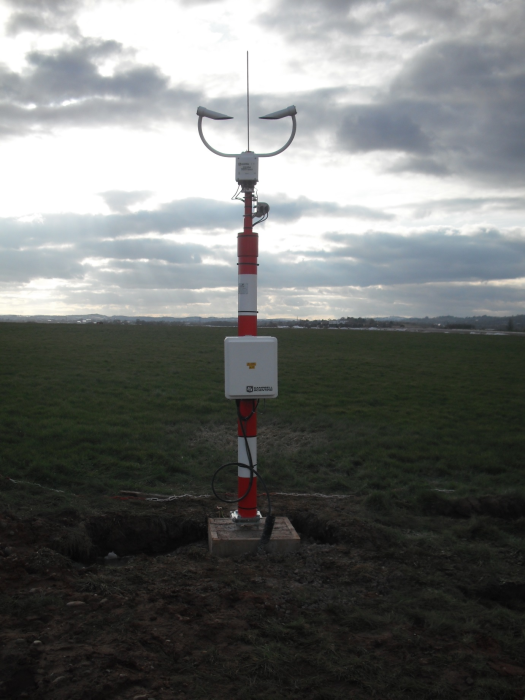 The IRVR system at Exeter airport consists of a CS120A Visibility Sensor and CS140 Background Luminance Sensor at each end of the runway. Since the TDZ and END points will change, if the runway direction changes, the IRVR controller can use information on the runway in use to select the sensors required to calculate IRVR for the TDZ point in use.